Today marks the day when the SPG card goes from the front of your wallet to the bottom of your trash bin. The everyday beast that was a favorite among many has been neutered. The earning rate on the SPG Personal & Business card has been cut by 1/3. It went from one of the most valuable everyday cards out there to worse than a Quicksilver card in the blink of an eye. We knew this was coming but now it is time to turn the page and to move on. Let’s take a look at the best everyday credit cards to replace your SPG credit card spend. I will get the most obvious option out of the way. The best option will always be a card where you have minimum spend remaining. Welcome bonuses can bring you a return of up to 40%. There isn’t a card out there that can compete with that. But this isn’t the old days of getting cards whenever you want to. You have to be able to earn points via strategic spend now. I ranked these based on overall point valuations using Frequent Milers’ Reasonable Redemption Valuations. Remember these are based on averages and that you should plug in your own evaluations since certain points won’t work for you. Now let’s take a look. The King, or Queen, of the everyday market is the Blue Business Plus. This was the case even before the SPG hammer dropped. The card earns 2X transferrable Membership Rewards points per dollar which FM values at 1.82 cents a piece. Be sure to plug in your own valuations in these calculations because if you don’t value MR points this wouldn’t make sense for you. Having said that most people can expect an average of 3.64% back on every dollar of spend. That is the tops of the market right there and earns it the number one spot. Doctor of Credit reports some people may be targeted for a 20,000 point welcome bonus. If you are not targeted there is currently a 10,000 point public offer. Click Here to compare this and other business credit cards. I cheated a little bit with the number two spot and I am going to give you a twofer. There are two hotel cards I am currently using for my everyday spend until I reach the $15,000 threshold. That is because they each offer a free night after $15,000 in spend. The cards I am talking about are the Chase World of Hyatt card and the American Express Hilton Honors Ascend card. World of Hyatt points are valued at 1.74 cents a piece. When you spend $15,000 on the World of Hyatt credit card in a cardmember year you earn a category 1-4 free night. That is like getting another 15,000 points to me. Because of that you are essentially earning 2 points per dollar on your first $15,000 in spend, netting you a return of 3.48% on your first $15,000 in non bonus spend. Click Here to compare this and other hotel credit cards. Hilton Honors points are valued at 0.45 cents a piece and the Hilton Ascend card earns 3 points per dollar on non bonus spend. That is a return of 1.35% per dollar which isn’t all that great. But, if you spend $15,000 in a calendar year you earn a weekend free night that does not have a category cap. You can use it for rooms that cost up to 95,000 points. I will cap the value at 60,000 points since you probably won’t be able to max it out every year. Those 60,000 points add 1.8% in value to your spend. When added together you have a return of 3.15% on your first $15,000 in non bonus spend. Click Here to compare this and other hotel cards. Everything said above for the Ascend would also apply to the Hilton Business card. There are two cards where you can earn 3% back on every dollar of spend in your first year of card membership. That would be the Discover It and the Alliant Visa. The Discover It card earns 1.5% back but earnings are doubled at the end of the first year. That gives you a 3% return overall. This card is not as good as the Alliant card since it is delayed in it’s payout. The rate also drops to 1.5% after year one instead of Alliant’s 2.5%. If you were a heavy user of the SPG cards then this is a sad day. I hope I was able to alleviate your pain some by offering some options to replace your everyday go to. Some would say these options will actually offer you a better overall return. Let me know what your plan is going forward in the comments section. Next articleHuge Devaluation! Amex Offers Restricted to One Card, All Tricks Dead! I’m still using my spg biz for dining, but expect to cancel if the AF isn’t waived next year. For this year my ordinary spend is going to the Altitude Reserve via Samsung pay, then the BBP, and if neither are accepted, then the B of A premium (I’m platinum preferred). Given that plastiq is still going with 3x and the ink preferred, my ordinary spending is pretty low. Next year I’m going to start paying my mortgage with the Jet Blue preferred via plastiq and try for mosaic. What do you think? I think that is a great gameplan. How much spend is needed for Mosaic? 50k, which is a lot at 1 jet blue point per dollar. So when I use plastiq I am essentially losing 1%, or $500, which I hope I can make up with the value of mosaic status. Ouch that is a lot of spend. Yeah if you fly JB a lot then you can probably make that back but be sure to crunch those numbers first before making the dive. Another great option is BodA premium rewards, especially if you are platinum preferred client, 2.625% on everything and 3.5% on travel/dining. And Hilton Biz also gives free night at $15k. Yes the BOA is great but most won’t be able to get that rate so I left it out. Good point on the Biz Hilton card I will have to add that in. For those of us who don’t have a “business”… Thoughts on Amex Everyday Preferred or Chase Freedom Unlimited? Trying to determine relative value of Membership Rewards vs Ultimate Rewards. Those will both net you over 2% in value so they are good options as well. Most people think UR points as more valuable. You need to have a premium card to unlock the transfer partners for the CFU though where the points earned with the EDP are transferable on their own. Charge 7 figures a year…tempted to get Alliant Visa and see if there’s truly no limit to 3% cash back! I have never heard of anyone having issues. It is advertised as a card for people who spend over 50K a year. And when the deal gets killed, everyone will blame me! Kidding aside, thank you for pointing out that card! I was looking for replacement as my promo period with Discover just ended. You can get multiple promos with Discover. I had card 3 years ago, and got double bonus. Got one in wife’s name 2 years ago, got bonus. Got another one last year, and they gave me double again. I wonder if amex will backtrack once they figure out that no one is putting any spend on their spg / marriott cards anymore… At the very least the SPG luxury card should have 3 marriott points per dollar spend. Between this and the devaluation of Marriott hotel / air packages, the spg / marriott rewards program is pretty much dead beyond a few more signup bonuses. I think Chase is more in call of the shots than Amex is. This is kind of a merging of the two since Chase used to earn a pitiful 1 point per dollar and SPG was earning 3. For the Hilton free weekend night, which nights are considered weekend nights? Fri-Sat, Sat-Sun, Sun-Mon? I’m still hunting for an answer. I’ve been spending 10-15k a month on my business SPG card consistently, and I’m just stumped. I already max out the Blue Business Plus for other things, so even if I could product change my business SPG card to a second BBP, I’d still have to change cards again mid-year when the 2 points per dollar ran out. I currently earn around 40k a month in Chase points, so I’m good there. There’s no Citi card that’s comparable to the SPG card for flexibility, and I don’t want to use a personal card for business charges, since that kind of usage would dent my credit score, although the Hyatt card makes using this card somewhat tempting. In short, I’m likely to stick with the new incarnation of the SPG card until I can find a better choice. That will also leave me with a solid stash of Marriott points to transfer into many airline programs as needed. It’s not a good plan, just the best I can see of the bad options. Are the purchases over $5K at a time? The Business Platinum card earns 1.5 points per dollar if the charges are 5K or larger. The Gold Rewards business card from Amex has a lot of good bonus options. And even though you say you are set on UR the Ink Unlimited is one of the better options if you don’t have it already. It would be a better return vs 2 Marriott points. Just some ideas. Crazy thought: Premier Rapid Rewards/Club Carlson IF (emphasis) you are likely to stay at one of their few nice US locations. Free night in the US for every $10k spent (up to 30k). As I live 1.5-2 hours from Chicago I think it’s worth it, but I’ll probably just MS my spend for those nights. Thoughts? If they didn’t limit it to US properties where there is only a handful of good ones it would be a good option. If you frequent Chicago it could make sense since that is one of the handful of good properties. Do Hilton Ascend and Hyatt card give a free night when you pay the AF and another (2nd) night after you spent $15.000? The SPG Business card is still viable. 4X Dining and 4X Gas. I will mainly use it for gas as I have the CSR for dining. It isn’t terrible but 2.4%-2.8% depending on how you value Marriott points isn’t great for gas in my opinion. I wonder if you can recommend the best option for PC personal SPG card? Not sure if Amex can do that at all. 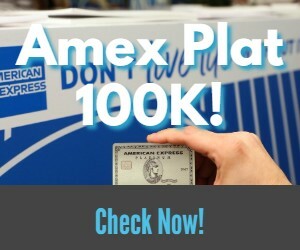 Off the top of my head I don’t think Amex allows PC of cobranded cards to other products outside of the branded family. If they did I would say only do it to something you have already had so you don’t cost yourself the chance at a welcome bonus.